In 2017 I was lucky enough to visit Namibia and Botswana for 2 weeks. During that time, I saw a total of four White-backed and two Lappet-faced Vultures, compared with large numbers in the same places in 1992. Maybe it was the time of year, maybe I was unlucky, but I doubt it. Vultures are in trouble throughout Africa from a variety of causes and need our help. By taking part in Champions of the Flyway, Team Swallowtail are raising funds which will enable Nature Kenya to work with local people to educate about the issue and also to tackle poisoned carcasses left out to kill predators. Anyone who saw the Lion episode of the BBC Dynasties series will know the indiscriminate devastation this causes. We are supported by Swallowtail Print, a leading UK producer of books, journals and magazines and we would love you to chose to support us as well by donating via the link. But our main ask is you support somebody – if not us, then a pretty team you prefer the look of. Last year Champions raised over $100k and it would be fantastic if that could be matched or bettered this year. We can make a difference. Toby is a 19-year-old naturalist raised in Leicestershire and Rutland and now studying Environmental Conservation at Bangor, North Wales as a first degree. His passion for the natural world is growing day by day, checking out the wildlife on his adopted doorstep but his main love is birding whilst dabbling into other taxa such as moths and butterflies. Toby has volunteered with citizen-science projects such as Nest Record Scheme, BirdTrack and WeBS and is also a trainee ringer. He is very keen on encouraging the next generation of birders, helping with the jointly-run BTO and Cameron Bespolka Trust’s Young Birders Camp, running multiple activities for people aged 13-18, from Nightjar ringing, learning to use nocturnal migration equipment and guided walks around RSPB Lakenheath. 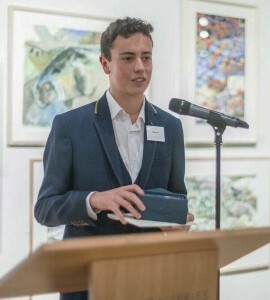 In October 2017 his work was honoured with the BTO’s prestigious Marsh Award for Young Ornithologist of the Year, presented at the Mall Gallery in London after a frantic dash back from the Scillies. 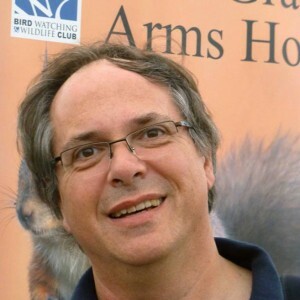 “Being given the opportunity to participate in the Champions of the Flyway event is a huge privilege and I shall make the most of every minute, from gaining knowledge about the birds of Israel to meeting new people”. Gary has been interested in the outdoors and wildlife for most of his life, but only got into birding when his son and fellow Team Swallowtail member Toby took up birding. 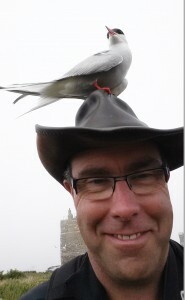 He is a trainee bird ringer, nest recorder and editor of the Leicestershire and Rutland Ornithological Society monthly newsletter. Most of his birding is done on the local patch whilst walking the dogs. This will be his first bird race and first foreign birding expedition, so nothing like jumping in at the deep end! The tern will sadly not be coming. 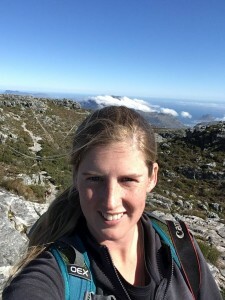 It wasn’t always about birds and conservation with Lizzie, that came whilst she was at university, switching degrees from Psychology to Ecology and Conservation at the University of St Andrews. Here her eyes were opened to the wonders of bird migration but also the threats they faced as well as the ever-increasing human – wildlife conflicts. To explore this further Lizzie completed an MSc Wildlife Biology at Edinburgh Napier and volunteered with Birdlife Malta at their autumn raptor camps. Today Lizzie is an experienced nature reserve warden for the RSPB and can currently be found on the Norfolk coast managing Titchwell Marsh and Snettisham nature reserves. Prior to this move she successfully brought back Nightjars as a breeding species to the RSPB The Lodge nature reserve after a 40 years absence. Lizzie is a committee member for Spurn Bird Observatory Trust and sits on the Board of Directors for British Birds. Mike got hooked on birds aged five and cannot wait to get back to Eilat to follow up on last year’s attempt. Hopefully a 19-year-old set of eyes and ears will provide the edge this time. Working at Swallowtail Print means looking at pictures of birds all day long, producing British Birds, journals for African Bird Club and Neotropical Bird Club plus county reports and atlases from Scilly to Shetland and Bardsey to Spurn. It will be good to see some real ones in the flesh! He will be driver, coffee maker and ensure people go to bed and get up when they should. He is also really looking forward to birding in shorts in March. And falafel.